AFTERSHOCK is Shaking Things Up in the UK! Great news! My recently released novella AFTERSHOCK is currently #1 in the UK (Science Fiction Short Stories)!! If you follow my blog, you know that part of my earnings from the sale of each copy of AFTERSHOCK are donated to the Rutger Hauer Starfish Association. Every copy purchased contributes a little love to an important cause. To learn more about the story, and the organization it benefits, read my release day post: Are You Ready for an Apocalypse? AFTERSHOCK is available world wide. Just click the cover in the left hand sidebar to be taken to the Amazon buy page! ONLY 3 DAYS LEFT to enter the AFTERSHOCKS Giveaway! Just visit my Facebook Fan Page and click on the Giveaway tab to learn how you can win the AFTERSHOCKS Survival Kit and Amazon Gift Card! 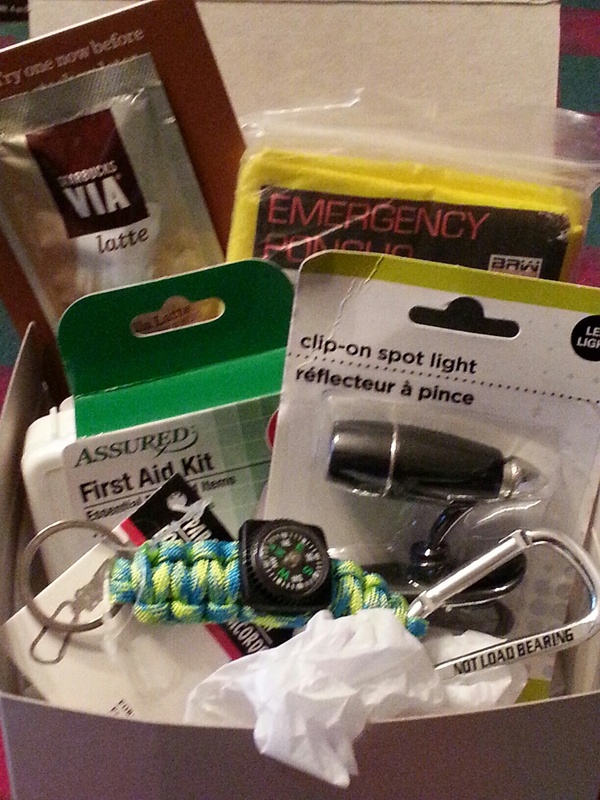 The kit includes a first aid kit, emergency blanket, clip on spot light, paracord compass key ring, an instant Latte and a $10 Amazon gift card!